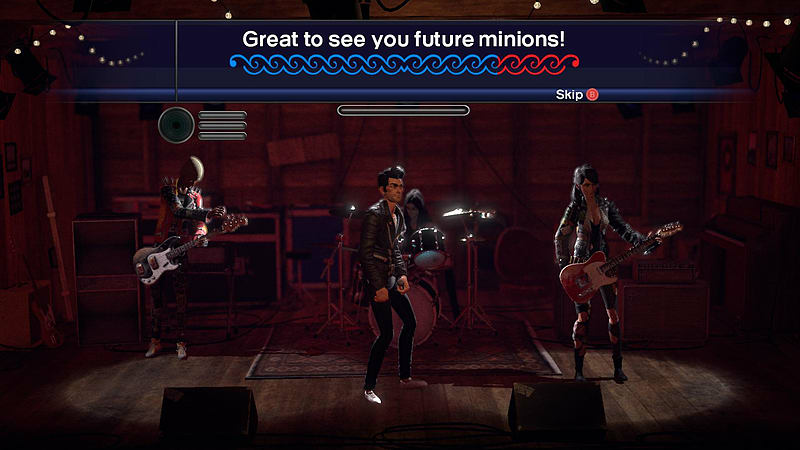 Rock Band 4 allows you to get your game on with an all-new set of wireless controllers developed by Mad Catz exclusively for the PlayStation®4 and Xbox One™. 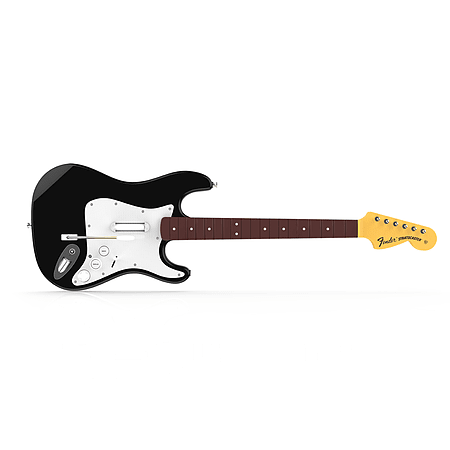 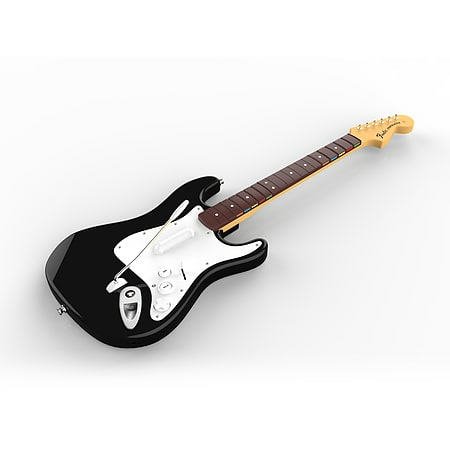 Wireless Guitar Controller – The authentic and classic form of the Fender™ Stratocaster™ is back, with two sets of fret buttons, a silent strum bar, a whammy bar, and a redesigned tilt sensor for fail-proof Overdrive activation. 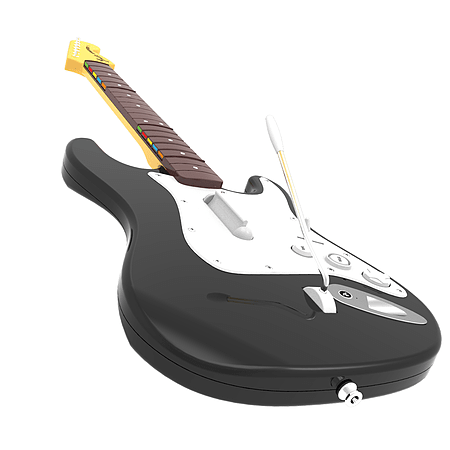 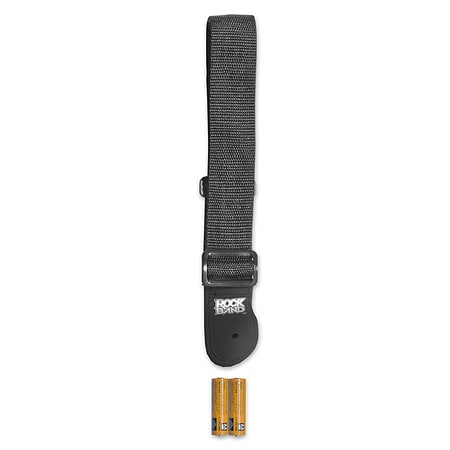 The guitar also takes the guesswork out of setting up your audio and video with a proprietary system for automatic game calibration. 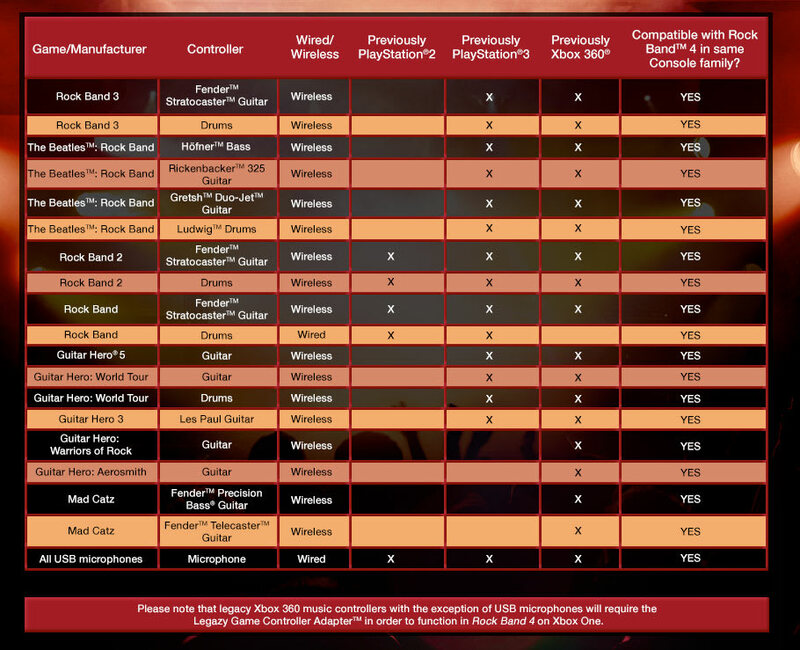 *The timing of release of “legacy” songs on next-generation consoles is to be determined and may be subject to change. 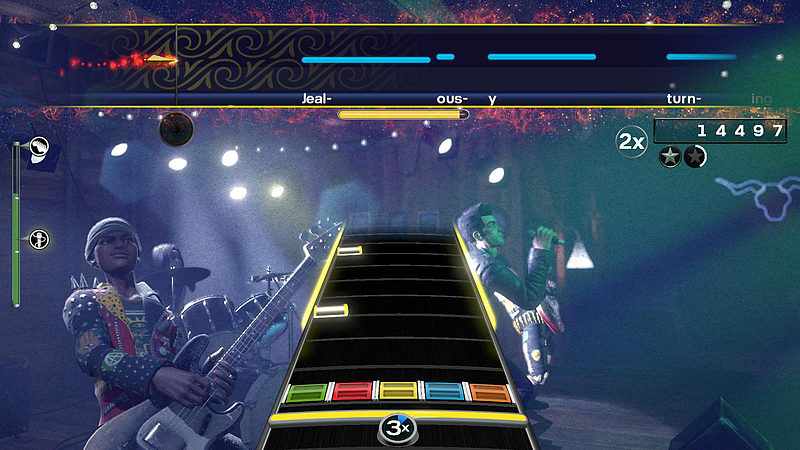 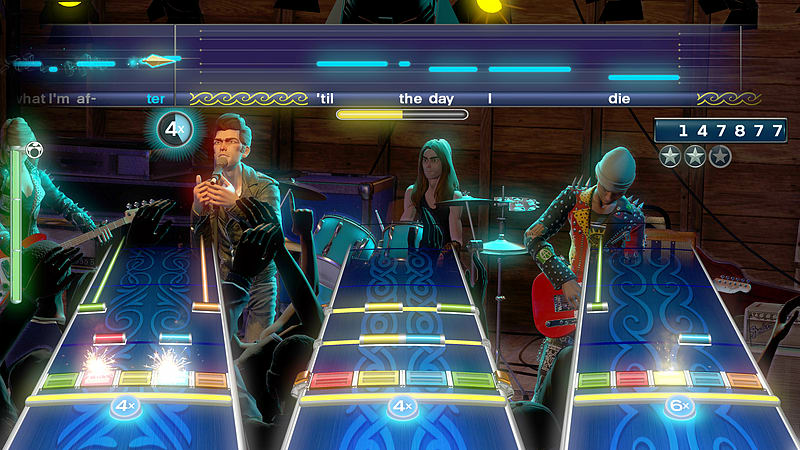 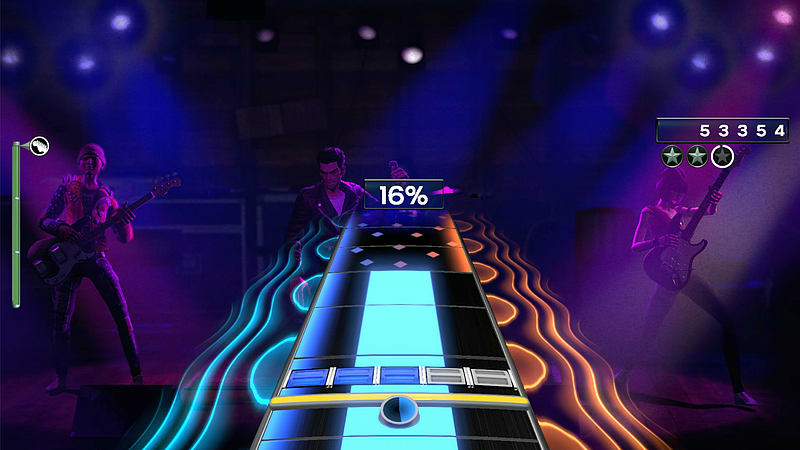 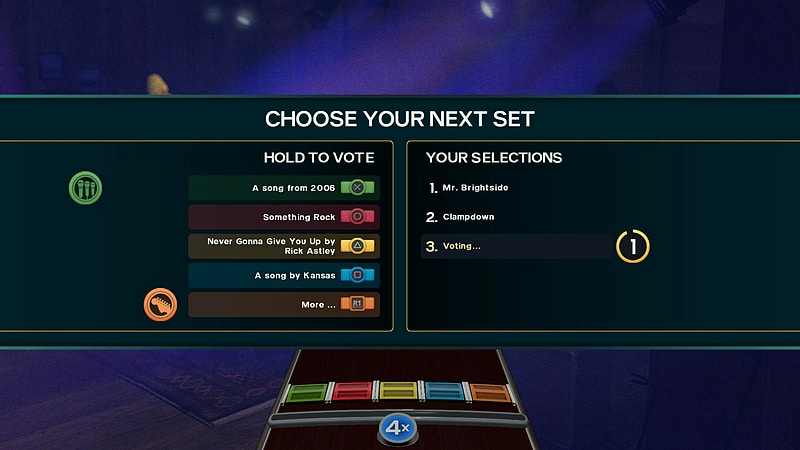 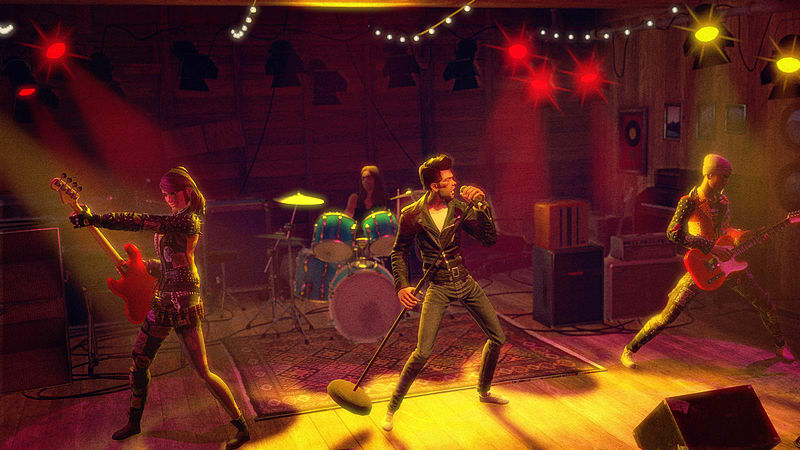 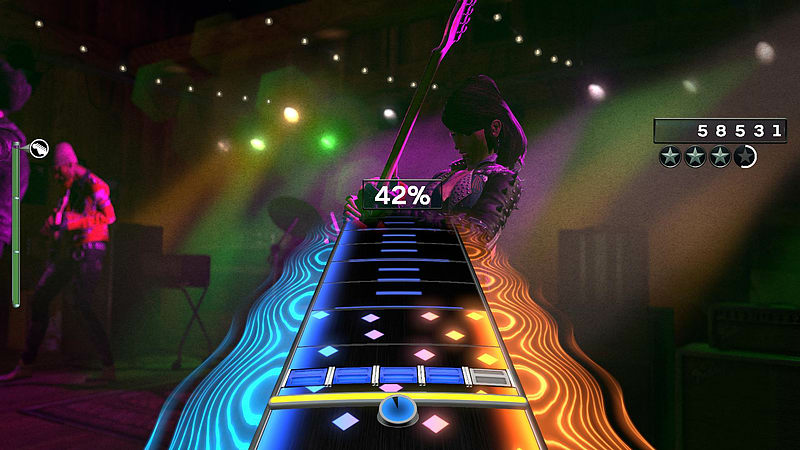 “Legacy” DLC will be downloadable and playable in Rock Band 4 only after the DLC is released on next-generation consoles.